Back in Dubai, woohoo. Hello, sandstorm. How I missed you so. So this morning, whilst in discussions with a friend on where to go for late brekky, she had suggested Sushi Art in The Beach. As I always do, I took out the app and checked if there were any vouchers. None? O no, we have to pay full price? Nooooooo! The place was, as expected, empty except for the two of us plus three other people on the long tables. It’s probably not very common to have sushi for brekky I’ll say. Looked through the menu, and M chose the Signature ‘Rock n Roll’. This was glazed salmon over the rice, with teriyaki sauce, sweet chili and crisps. To the inside, a combination of raw tuna, asparagus, avocado, masago and spicy sauce. The spring onion and chilli that you see, some might just assume it’s for looks but eat it altogether. It’s not that spicy, it’s actually delicious 😉 8 fairly small pieces for 49AED. I picked the Dynamite Roll, pretty standard in most sushi restaurants. Salmon, spicy sauce, masago and cucumber, 6 pieces for 28 AED. 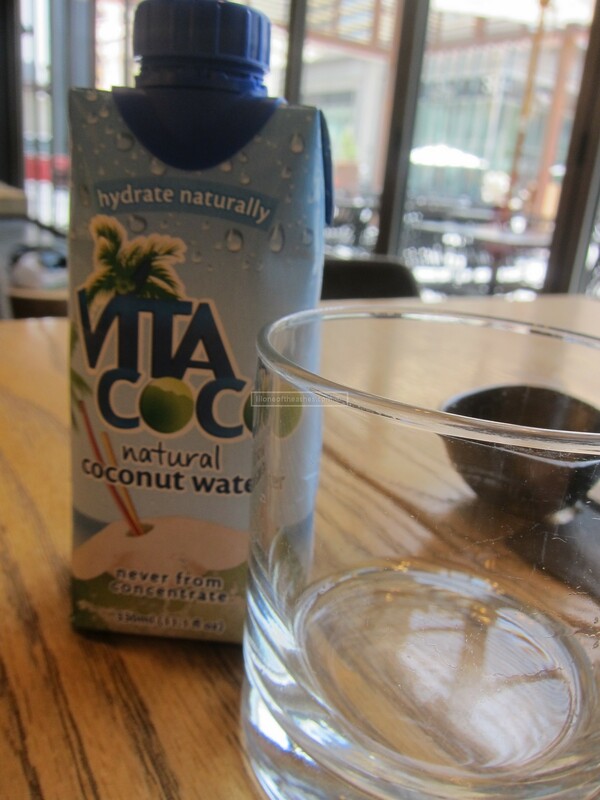 A bit of a let-down was when I had ordered coconut water and they literally took the carton out and served it to me with an empty glass. Vita Coco is good coconut water, no complaints there, but hmm, I might as well have bought it from Carrefour and bring it in myself ay. Now this was the big test 🙂 We know where Sushi Art gets their mochi, so we were here to see how they would present it, for the price they were selling it for. For 32AED for two pieces, this is how you’ll get it on a plate…. 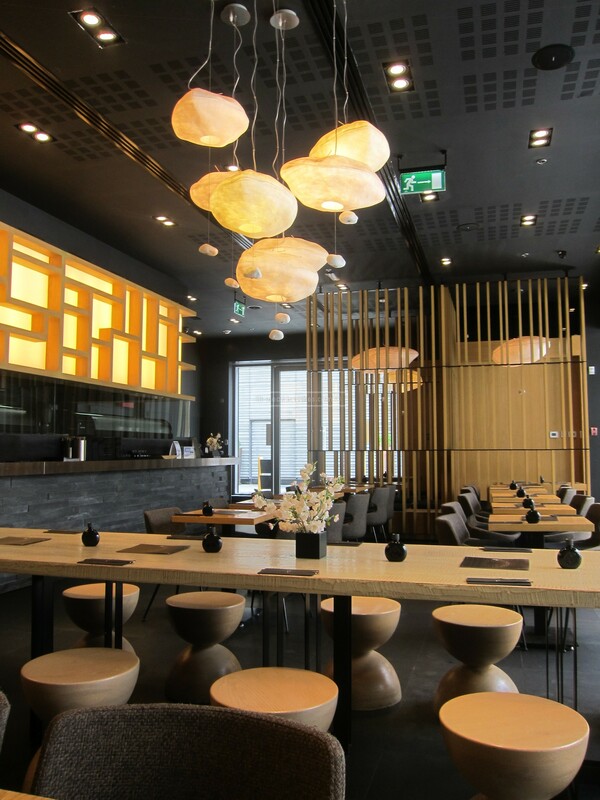 All the effort for suppliers to import it from Japan, and sell it to these outlets, restaurants mark up the prices and make absolutely no effort to make it a little prettier. 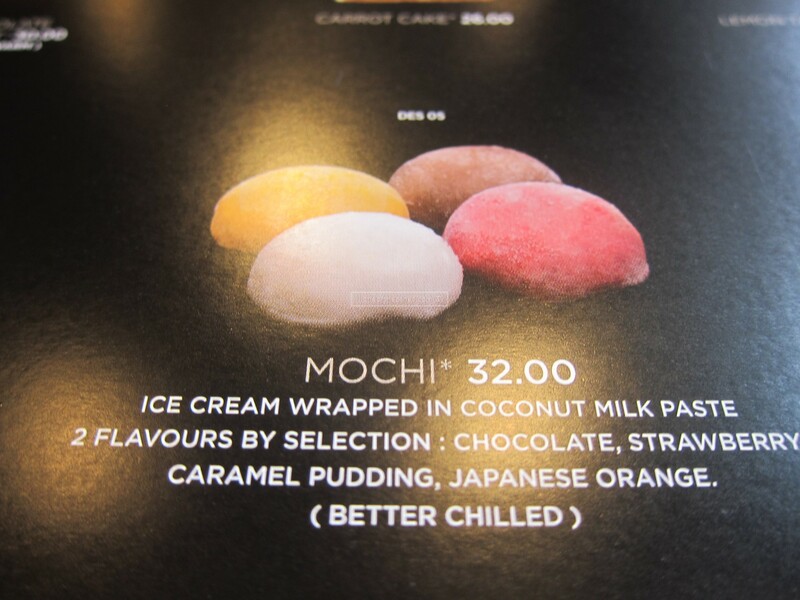 Click here for what Above in Sofitel Downtown did to sell 3 mochi’s for 60 AED, at least they tried! To be fair I loved it. 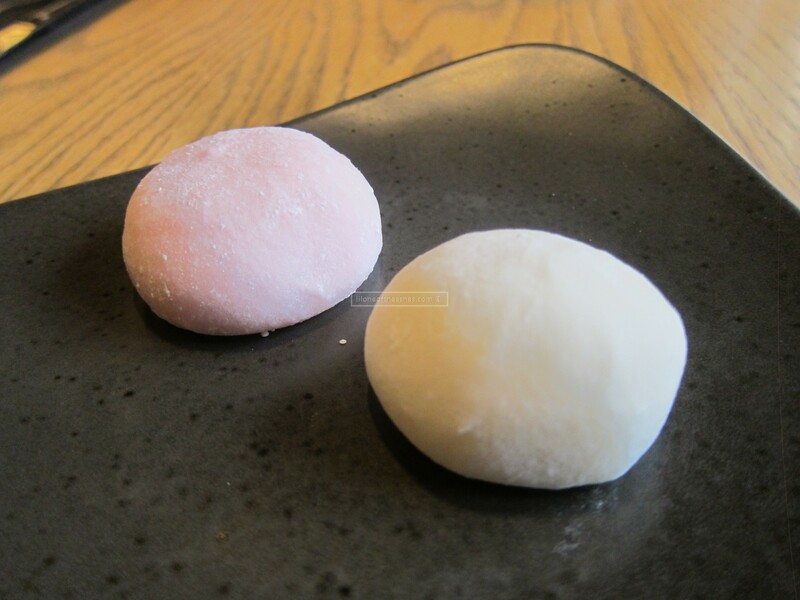 I always love mochi. And this was very good mochi. M however thought it was thawed a little too much so the mochi and cream inside was a bit too soft than it should be.